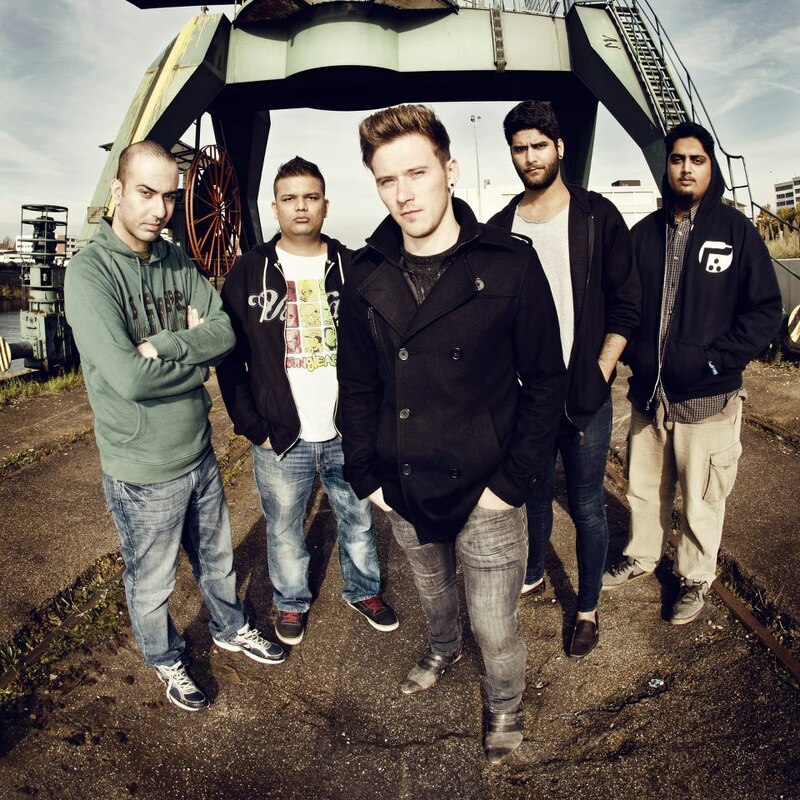 1] Skyharbor started off as a simple bedroom studio project and has become one of the most talked about bands not only in India but also internationally. How does it feel? Keshav: Thanks!! It definitely feels great. I’m acutely aware though, that this is just the beginning and there’s a very long way to go yet, so I’m definitely not getting ahead of myself. 2] Skyharbor has a very inimitable sound, which is an awesome combination of soft ambient mood pieces and heavy prog-like grooves deliciously packed in a progressive sandwich with loads of layers. Could you elaborate the song writing process? Considering that the members and guest musicians are spread across the globe. Keshav: That’s very nice of you to say! The song writing process is a little unusual in the sense that the songs are jammed on and performed as a band, much after being written and fleshed out completely. For the first album, I wrote and arranged all the songs entirely on my own, on the computer. Basically I would be messing around on the guitar, and my guitar is always hooked up to my recording rig. So when I got an idea for a cool riff I would immediately record it, and then mess with it further by programming drums to it, adding layers and synth lines etc. A lot of musicians treat the computer as just a machine to perform technical tasks with, but I treat it as an instrument unto itself. For our second record though, things will be a lot more collaborative, and this is something that is very possible due to the fact that each member of the group has his own recording setup, so we can simply exchange project files online and bounce ideas off each other that way. 3] Tell us something about the early ‘Hydrodjent’ days, how did it all start? Back then, did you ever think you would reach the point you are right now with Skyharbor? Keshav: No, definitely not! Well, in all honesty, I never really set out to be popular or anything like that. I knew from the get go that progressive metal isn’t really what the so-called ‘cool’ people play. If I really wanted to get big and make a lot of money from music, I’d have been doing the Yo Yo Honey Singh thing. Back when I was in college, I didn’t really have anyone around me who wanted to play progressive music – everyone wanted to play Metallica and RATM covers at the college competitions and impress their girlfriends. And I didn’t want to throw in the towel simply because I didn’t have a band. So I decided to do everything myself – since my intention was strictly only to write music, I didn’t need other members if I could do things by myself on the computer. So I learned how to program drums, adapted my guitar technique to learn how to play bass, and just experimented a ton on the computer. 4] We can see a lot of big names, both Indian and international, on the album. How was it working with Marty Friedman and Dan Tompkins? You’ve even helped Marty write a few songs on his album “Tokyo Jukebox 2”, some great music right there. How did it feel to work with such an experienced musician? Keshav: It was definitely surreal at first, and in the beginning I was like, how am I ever going to cope? I mean, keeping up with someone like that is going to be crazy. But it was actually a lot easier than I expected, simply because he IS such a great musician. He was extremely clear about what he wanted, and although I had a certain amount of free rein as to the parts I came up with, if he wanted something changed he would tell me exactly what to do differently, instead of just saying “I don’t like this”. That was really very relieving, as I never felt clueless at any point of time. He’s a great guy and that collaboration was really fun, even if it was all cover songs. 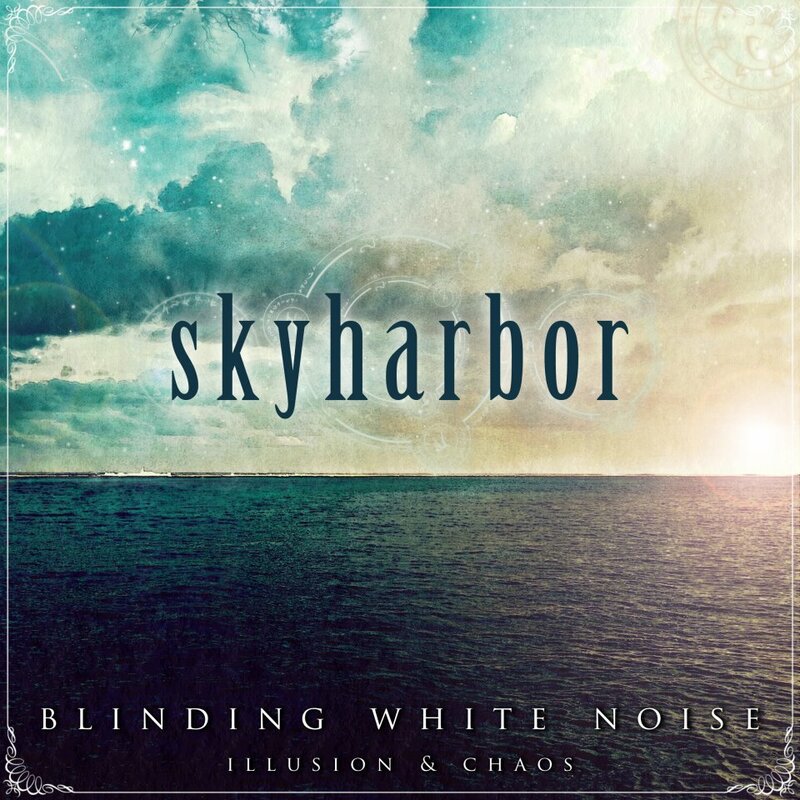 5] Skyharbor took almost 4 years to come up with their first album. The debut was initially supposed to be a self release but later Skyharbor was signed to the prestigious “Basick Records”. Not every band has such a great label supporting their debut release. How did it happen and how has the journey with Basick been? Keshav: Again, it all happened right out of the blue. Just a week before we were to release the debut – at the NH7 festival in Pune in 2011 – I was put in touch with Barley at Basick by a mutual friend, and it turned out he was aware of us and had been following our progress closely. I told him about the album release plan, and he suggested working together in order to maximise the reach and impact of the release. We worked out an agreement in a matter of days and that was that really! The journey has been fantastic. Having the backing of a label in today’s day and age is not just about them spending money for you. We still bear most of our expenses ourselves. What a label does do is lend a great deal of credibility to the name of the band when it comes to dealing with industry people. People take you a lot more seriously, and it’s also very relieving because I’m not really fond of getting too into the business side of the music industry. It takes a lot of pressure off me when I know that we have great PR and distribution around the world which is being handled by professionals, leaving me free to concentrate on making music. 6] Skyharbor played Euroblast Vol. 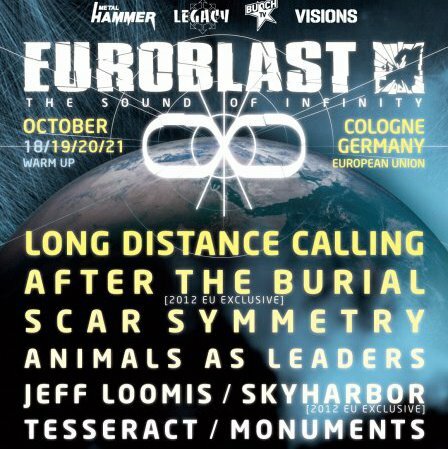 8 at Cologne, Germany in October. Did catch a few videos which prove that the show was incredible! Skyharbor’s first International gig. How was the experience to play alongside some killer artists you’ve only seen on the internetare a fan of? How was it different with respect to gigs in India? Keshav: It was unbelievable! We were treated so nicely that I was quite taken aback. Considering that is the only show we have played outside of India, it really was really something to witness. We were treated with a great, great deal more respect than we were at any of the India shows. In India, after a show you have fans mob you and drag you to a corner to take a picture without asking you, which is flattering at first but can really get on your nerves after a point. In Europe, everyone who approached us was polite and respectful, and I had some great conversations with people. In India the fans treat you like some sort of god, and just go on about what big fans they are – it feels awesome to know that we are so well received, but it makes me personally feel very awkward. Even the big bands there, whom I was quite star-struck by at first myself, were really cool to talk to and we had a great time. Playing alongside them was definitely very daunting, but everyone kept telling me to just keep calm and do my thing, and that’s what we did – just closed our eyes and played the show, and it was received really well. 7] You guys are playing 2 more shows this year, one at Strawberry Fields, Bangalore and one in Delhi. Can we expect the complete line-up of the band to play then, I hear Dan is now very much part of the band, rather than just a guest musician? Any more gigs coming up this year? Keshav: Yes, this is now our complete lineup. No more shows – we are on a live hiatus now as we write and record the second album. 8] Now, I am someone who really tries to connect the dots, the relation between the music, album art, album name etc. “Blinding White Noise: Illusion and Chaos”. Why “Blinding White Noise”? Does it have something to do with your tone? That’s the only way I can relate to the name, haha. Did you have a concept in mind while working on the album? Keshav: Haha! No, it’s just a lyric from the opening song ‘Dots’. That line really struck a chord with me, especially the way it was sung in that haunting falsetto tone, and I felt that it would be an ideal album title. Up till that point, we were planning to self-title it which would have been rather boring to be honest! 9] You guys have been writing album number 2 since a while now. Any insights as to how’s it going? Can we expect some neat collaborations this time as well? 10] Every band has influences which help them develop their sound and sway them in a particular direction, but there must be some childhood hero who inspired you to form a band and enter the music industry. Who are your inspirations? Keshav: Rahul Sainani from Joint Family, my good friend and mentor Zorran Mendonsa, and Misha Mansoor from Periphery – these three have been the most inspirational people for me. 11]You are a Biomedical Engineer, if I’m not mistaken? You used to work before being a full time musician and producer. It’s a very difficult road if a full time musician is what you desire to be, especially in India. There are a lot of young people including me who wish the same. Enlighten us as to how was the journey back then? Any words of wisdom for all the aspiring musiciansproducers out there? Keshav: I actually never did an engineering job before doing music. I started recording full time right after I graduated. I would really just advise everyone to keep a stable day job and make music on the side, and work on it steadily till you reach a point where you feel you can make the plunge to do it full time. 12] “Basick Records” made the album physically available to a lot of fans based abroad compared to the majority fan base you have which is India(which was sorted later, of course). Don’t you think the album sales would increase if the album was available to the Indian fans at the time of release? You’re very much aware of the market here in India and the market abroad so could we have your 2 cents on it and the sales statistics? Keshav: Indeed. Basick actually did have distro partners in India, who eventually let us down – it’s definitely a big regret that I have. I don’t believe that many people would have bought the album either way, but I still would have liked to see it available here at the time of release. Still, it’s all in place for album 2 and we’re learning as we go. 13] Do you think that the Internet was solely responsible for promoting your music? The internet sure has shrunk the world though. Keshav: Absolutely! There is nothing else to it. The internet has been my source of inspiration, my means of promotion, and basically the reason why I’m doing any of this in the first place. I’m pretty sure that I would not be doing music if it weren’t for the internet. Thank you very much for taking time off and talking to Metal Wani. Cheers!